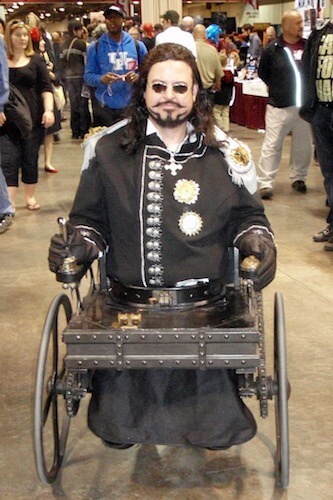 Home » Can You Name Any Wheelchair Characters in Television and Film Media? If you can’t, that’s not a surprise. Wheelchair users, like most people with disabilities, are not well represented in films and television programs. Even though nearly 1 in 5 people in the US identifies as having a disability, less than 2.4% of people in the top 100 movies who spoke or were named had some form of a disability. Wheelchair users aren’t represented more than the general population of disabled people. They are 3.6 million strong, accounting for about 1% of the total population. So why don’t we see more wheelchair users in films or on television? For many years, the many in Hollywood thought the viewing public didn’t want to see people in wheelchairs or with other disabilities. The studio executives were afraid people might feel uncomfortable or be repelled. Once TV and film producers began including disabled people, they seemed to take the attitude that all disabled people are the same or can be categorized into a number of types. As a result, the disabled characters reflected these stereotypes, some of which are not just harmful but completely offensive. The Victim, the person who tragically ended up in a wheelchair and needs to be pitied. The Superhero, where the person overcomes all odds to do astounding great things. These stereotypes supported the idea that somehow the disability makes the person incompetent in all other areas of life. They also what a non-disabled person thinks a disabled person feels. Using these stereotypes shows that the writers didn’t research what it is actually like to live with a disability. Hollywood is changing but still falls back on using the disability as a plot device. The disabled characters come across as one-dimensional and flat. Recent productions are attempting to show the wheelchair user as a person with the same wants and needs as anyone else, possessors of unique personalities, talents, and interests. Here’s a look at fifteen wheelchair characters and how they’ve been portrayed in film and on television. Some are positive, some are negative, and many rely on stereotypes. What’s encouraging is that a few of them attempt to portray wheelchair characters as three-dimensional human beings. 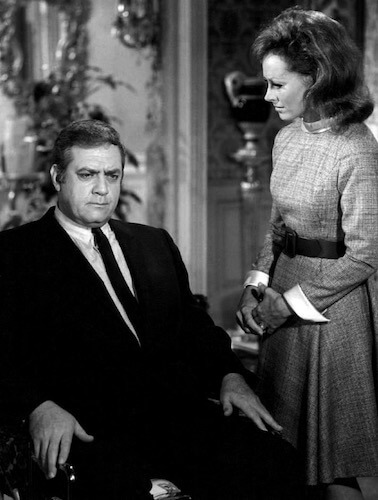 Raymond Burr starred in this television program from 1967-1975. He played a detective who was paralyzed by a gunshot and forced to retire. At first, he’s a victim. But amazingly, he didn’t allow himself to stay on the sidelines. He got himself hired as a consultant and succeeded in solving the cases others couldn’t. His strength of character, brains, and initiative help him solve the toughest cases, which fit him into the superhero stereotype. Tom Cruise starred in this 1989 movie about a Vietnam vet who came home in a wheelchair, paralyzed from the waist down. This movie relied heavily on the stereotypes of the wheelchair user as a victim and a social outcast. One of the most wrenching lines from the film was when Tom Cruise screamed, “Who will ever love me?” This showed his character believed he’d never be loved again, and all too common stereotype of disabled people. Daniel Day-Lewis starred in this film about Christy Brown, a boy born with cerebral palsy. At first, no one thought he’d be able to do anything, as he was a spastic quadriplegic. Then he miraculously discovered he could move his left foot. With the help of his mother and speech therapist, he became a painter, poet, and author, and eventually married the therapist. Because he achieved success only due to his extraordinary talents, he fit into the superhero stereotype. Jude Law played a paralyzed athlete in this sci-fi film. It turns out he was injured in a botched suicide attempt when he failed to win a swimming competition. 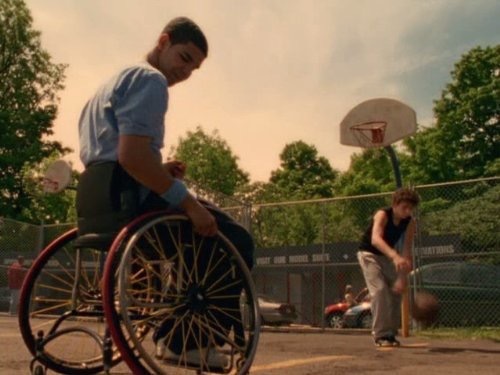 Toward the end of the film, he succeeded in committing suicide, reinforcing the stereotype that a handicapped person believes he is better off dead. The irony is that the main character, who has a different kind of handicap and faces much greater discrimination, takes an opposite approach. He risks everything and manages to achieve his lifelong goal. While Forrest Gump had issues, his friend Lieutenant Dan had plenty of his own. Dan was Forrest’s commander in Vietnam. Forrest saved Dan’s life, even though Dan wanted to die when his legs were blown off. At first, Dan was bitter and angry, then went into business with Forrest running a shrimp boat. Dan’s business sense and clever investing left both of them wealthy. Dan invested some of his wealth in high-end prosthetic legs, so he no longer has to use a wheelchair. Later he gets married. While this film showed that people with disabilities can make a life for themselves, it also somewhat reinforced the stereotype that people with disabilities can only be happy if they get rid of their disability. 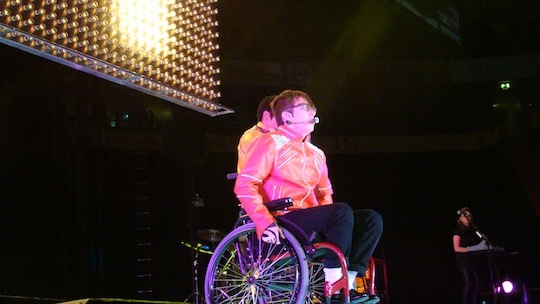 Kevin McHale played Artie Abrams, a high school student who used a wheelchair. He became a paraplegic due to a car accident. Some applaud the series for showing Artie learn to accept his disability, to participate in the Glee Club and to attempt directing a film. Others pick up on the aspect that he’s somewhat of a social misfit, another harmful stereotype often applied to people with handicaps. Television’s NCIS has made a few attempts to portray people using wheelchairs. The first was brief, just a minor love interest of one of the main characters. The second is more nuanced. Delilah, the fiancée of one of the main characters is injured by a bomb and left a paraplegic. She fights to retain as much of her life as possible, which includes her career as a Department of Defense analyst. Delilah also works through the changes her disability has brought to the dynamics of her relationship with her fiancé. She eventually marries him and gives birth to twins. This is a great example of a person dealing with what happened and pursuing her goals the way any ordinary person would. No victim or superhero here, just a woman who knows what she wants from life and goes after it. Jimmy was a high school student who loved basketball. Then he was injured in a school shooting and left a paraplegic. At first, he was bitter and angry but eventually learned to find a way to still play basketball from his wheelchair. This is one of the better depictions of a disabled person learning to adjust to his disability and to make a life for himself. Another episode featured a wheelchair user who was diagnosed with cancer. He declined treatment, saying he had no reason to prolong his life. 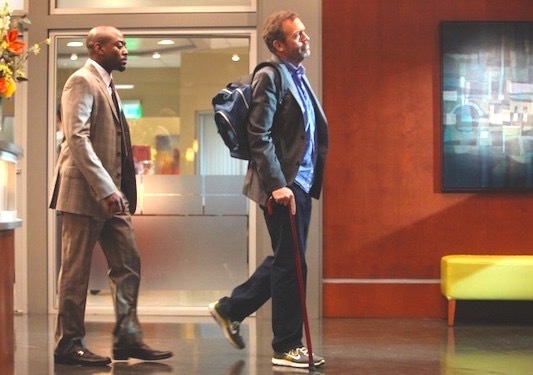 Because of these and similar storylines, House has been criticized for the demeaning and stereotyped way it deals with wheelchair users. 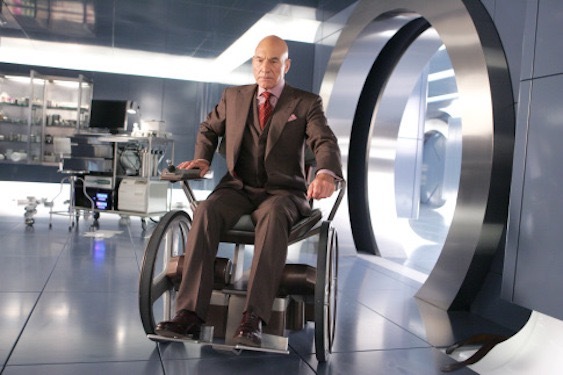 Patrick Stewart portrayed wheelchair user Professor X, who is unable to walk due to psychosomatic pain. In spite of his paralysis, Professor X led the mutant X-Men, a team of super-powered heroes who fought to save the human race. Sam Worthington played Jake Sully, an ex-Marine who was a paraplegic. But he refused to let his disability get in his way. He got himself sent on a mission to a faraway planet, where through the aid of high tech, he animated a hybrid human-alien avatar. Jake is another person who doesn’t let himself become a victim, but instead pursues his goals and stays true to himself. Kenneth Branagh played villain Dr. Arliss Loveless, an ex-Confederate scientist in this 1999 film. Confined to a wheelchair because he lost his legs in the Civil War, he was bitter, angry, and more determined than ever to overthrow the Union. All of which fits the stereotype of a handicapped person being warped and evil, or in other words, the evil villain. A young man in a wheelchair moved into an assisted-living facility. His bold and vivacious personality attracted another resident, who had cerebral palsy. Together, they left the facility to make an independent life. This film does a wonderful job depicting two people with disabilities trying to construct full and meaningful lives. This French film tells of a high-roller who became a quadriplegic after an accident. He hired a young man whose has just been released from prison to become his caretaker. The two learned they have more in common than they realized and became friends. 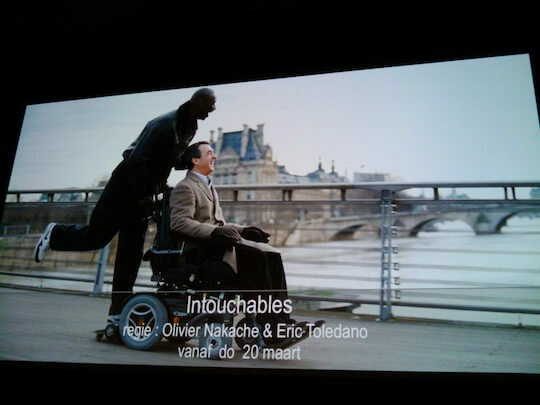 Intouchables does a great job showing how people are more complex than the first thing you notice about them. This TV show featured a teenage girl who started talking to God. God appeared to her as different people, pointing her in the direction she needed to go in order to grow. One major storyline involved Joan’s older brother Kevin, who was paralyzed from a car accident. The show does a fine job moving Kevin from his initial anger and bitterness, to getting a job and finding more than one love interest. There is one lapse into stereotypes when Kevin states he can’t live on his own because he needs help. This is not true for all paraplegics. 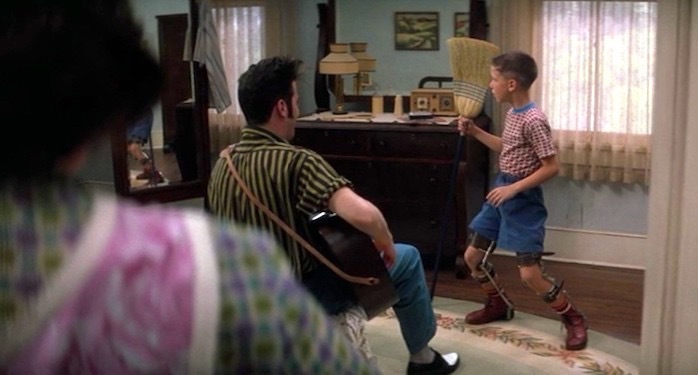 Other than that, the show beautifully shows Kevin’s progression to learning not just to live with his disability, but to pursue his dreams in spite of it. 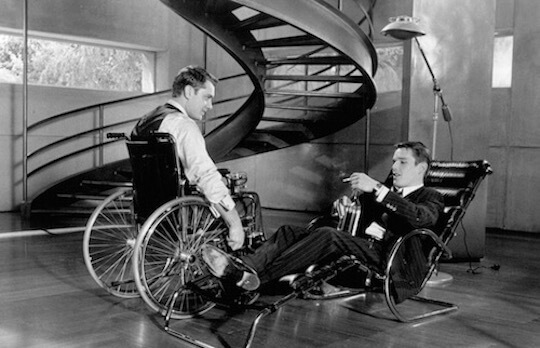 There are many more depictions of wheelchair characters in films and on television. Hopefully, Hollywood will be more open to including wheelchair users in significant roles, roles that portray them as people with personalities, desires, and goals. In other words, presenting them as human, just like anyone else.